Back in 1965, having understood the need to tune in more closely to baker’s requirements, Lesaffre developed a Research & Development (R&D) laboratory. Lesaffre R&D’s aims are to better understand the biochemical processes taking place in bread production and thus select the microorganisms best suited to the recipes and processes found throughout the world. The behaviours of enzymes, emulsifiers and hydrocolloids that might be used to formulate improvers are also brought under scrutiny with a view to obtaining the desired results in baking while keeping quantities strictly to a minimum. The Baking Center™ facilities work in close collaboration with the research laboratory to ensure that the solutions provided by R&D perfectly meet the desires and constraints of bakers. Science and baking, therefore, meet on a daily basis! 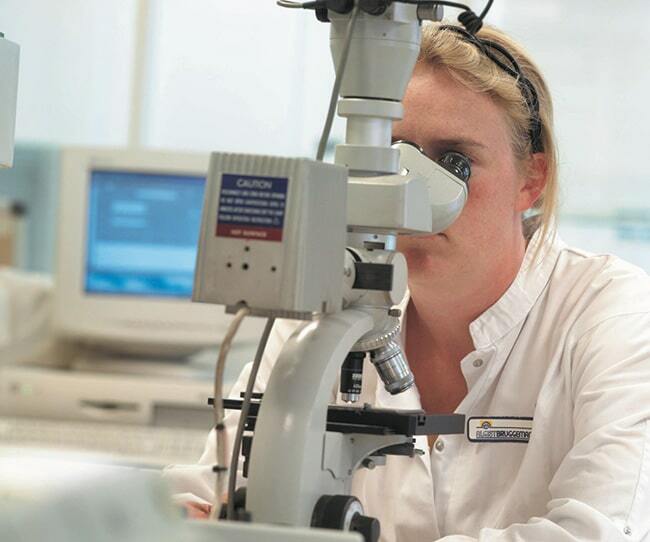 Since it was founded, the R&D laboratory has specialised in the field of Bakery Science thanks to continued investment. 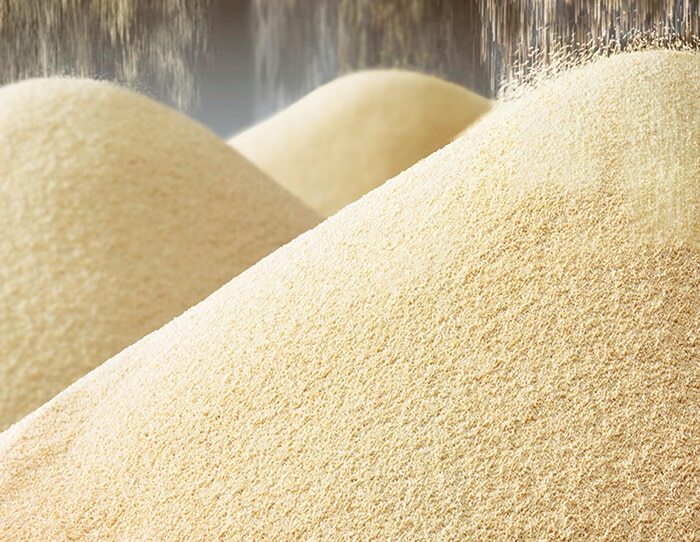 The researchers at Lesaffre have the technical means to rapidly identify which yeast and bacteria offer the best performance capabilities, be it in direct fermentation, or in the sponge, or sourdough methods. This type of screening makes it possible to select those candidates with the strongest potential when it comes to specifically sought-after properties, such as fermentation rate (also known as kinetics), aromatic profile or the power to resist osmotic pressure in salts and acids. Furthermore, the physico-chemical analysis tools currently available are used to seek out and identify which of the metabolites that can be obtained from the fermentation of sourdough have the best functional or organoleptic properties. 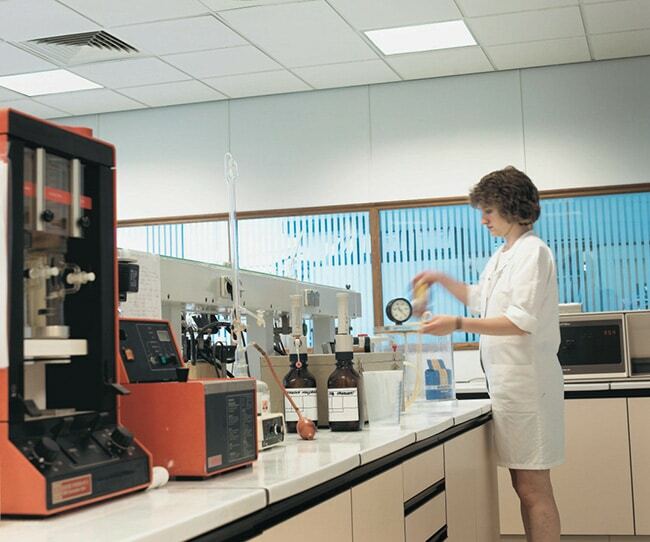 Product development relies on the work of the sensory analysis panels, as well as complementary techniques such as chromatography, which is used to separate the different compounds responsible for bread flavour by vaporizing the flavour molecules; penetrometry, which relies on a texturometer to assess the softness of bread and brioche crumb; mass spectrometry, used to identify previously separated molecules by means of molecule fragmentation and ionisation. This helps to obtain a characteristic compound spectrum given that not all of the identified molecules will necessarily impact upon the aroma of bread; and olfactometry, which completes the analysis by subjecting a combination of fragrance compounds to the scrutiny of the human nose. Lesaffre has a panel of 20 “noses”, i.e. people selected for their sensory ability to perceive smells and their cognitive competence. 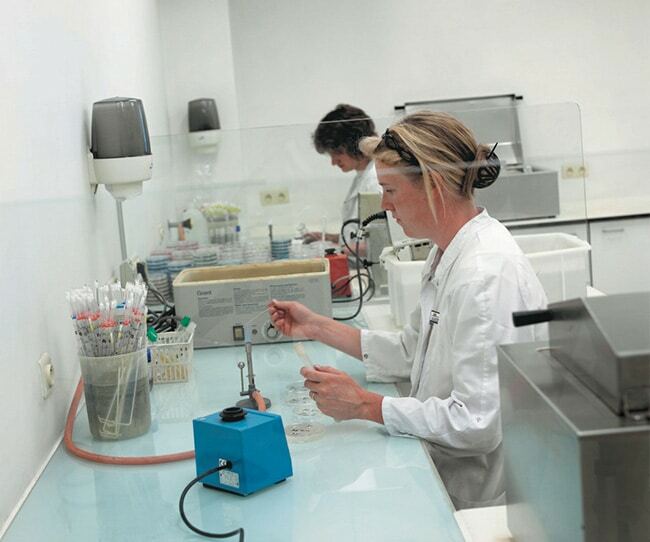 The R&D laboratories belonging to the Lesaffre group are available to help bakers establish a good diagnosis. By analysing flour using advanced technologies (infrared analyser, Kjedhal method, ash oven, alveograph, farinograph and Glutomatic), it is possible to provide tailored solutions either by using certain fermentation methods or by formulating functional ingredients.